Would you like to achieve your goals faster? The right mentors and counsel have the potential to move you closer to success. In the span of less than two years, Geoff Woods has transformed his career through high level networking. I first discovered Geoff through his excellent podcast, The Mentee Podcast. Geoff Woods is the host of The Mentee podcast. After hearing the Jim Rohn quote that “you are the average of the 5 people you spend the most time with” Geoff set out on a mission to surround himself with high level CEOs and successful entrepreneurs. Fast forward just 10 months, Geoff went from sales rep to CEO, partnering up with the co-authors of the best selling book The ONE Thing, to launch a new media company that hopes to disrupt the education system. Geoff has been featured in Entrepreneur.com and is an expert in creating quality content and turning it into massive income streams. 1. Why is networking important to reaching our goals? In many areas of life, there is a hard path and an easy path. The hard path requires a lot of effort, random experiments and hoping for the best. In contrast, the easy path I suggest is based on the premise: find someone else who has accomplished your goal and then learn from them. There is an additional benefit to drawing lessons from successful people: reduced fear and uncertainty. That means more motivation to make progress towards your goals. 2. What Are Some Key Lessons You Learned From Your Mentors? The fact that we are all accountable for our lives was a key insight for me. For example, I had a situation where my commission income was reduced when a previous employer changed the compensation structure. I choose to take control of my income rather than simply getting upset. That has led me down the path to learn more about real estate, investing and entrepreneurship. I have also learned the importance of having an unstoppable mindset. The truth of the matter is that everybody hits problems. Successful people do not lack problems, they simply look at them differently. Some people hit problems and they stop. Successful people focus on asking “How” questions such as “How do I learn the skills to overcome this problem?” or “How do I connect with people who can provide counsel on this problem?” Then they keep going. 3. What Is Your Recommended Approach For Internal Networking? When I joined a new organization recently, I asked the people I worked with for a list of people I should get to know. That’s a great starting point to build an internal network. You could ask your manager or people you work with for ideas. Tip: View the “How To Grow Your Internal Network” webinar for additional guidance on this topic. 4. How do you recommend adding value to VIPs? The starting point is to be curious and ask good questions. Few people have every area of life fully handled. In business, an entrepreneur may be moving into Internet marketing for the first time and they could use insight on how to be successful. Or someone highly successful in business may be struggling with a health issue and you may know a great person who can help them. Once you start to learn what they want, there are a few possible next steps. You may be able to assist them directly. Or, you can arrange an introduction to another person in your network. Finally, you may take note of their needs in case you find a way to help them in the future. Staying curious about other people and asking “What are you working on?” are excellent ways to get started. 5. What is your approach to connecting with high profile people who are difficult to access? Many highly accomplished people, including authors and business leaders, are difficult to contact. They have heavy schedules, assistants and it is difficult to connect with them. There are two ways to approach this challenge. Introducing yourself to the person in person is an excellent way to start the relationship. Case in point – I met Brendon Burchard, a New York Times best selling author, entrepreneur and consultant, by approaching him in person one of his events. Several months later, he was an interview guest on the Mentee Podcast: Brendon Burchard Demystifies Your Road To Greatness. The other insight is think more broadly. Let’s see that your goal is to write a book or become an executive at a large company. It’s natural to focus on a single person, perhaps a personal hero, and seek to connect with them for advice and guidance. Unfortunately, there are two challenges with that. First, high profile people are simply difficult to reach. Second, if you are motivated by ego, you are less likely to succeed. Instead of focusing on one person, think of a category (e.g. successful authors) of people and start to approach them. 6. How do you determine which events are worth attending to grow your network? Ask for referrals. Once I started to meet a few high level people at events, I would ask them what other conferences, seminars and events they considered valuable. 7. What are some books that have valuable to you in growing your career? 8. Who do you admire in business and why? There are many people I admire in the business world for different reasons. Tony Robbins. His ability to communicate effectively with groups and 1-on-1 is impressive. Brendon Burchard. 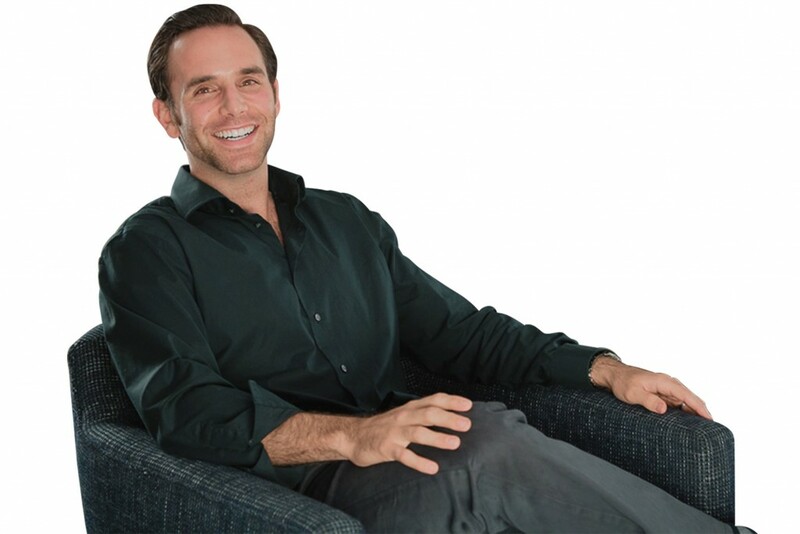 His systematic approach to building multiple seven figure companies. Gary Keller. His long term success in the real estate industry: Keller is Chairman of the Board for Keller Williams, one of the largest real estate companies in the world. Jay Papasan. For lessons in the art of publishing and media. Jay Papasan is a bestselling author that serves as vice president and executive editor at Keller Williams Realty International. 9. Where can readers learn more about your work? Readers are welcome to visit my website The Mentee Podcast. I also offer a free resource – 7 Easy Steps to Meet the Top 7 Influencers in Your Industry – to help people in building powerful networks.